Pastel on paper, 420 x 310 mm. This portrait by Frans Schwartz features an older Vilhelmine Heise, sister to Johannes Hage. The artist has captured an intimate moment; her slightly tilted head and dreamy gaze suggests that she is utterly lost in her own thoughts. 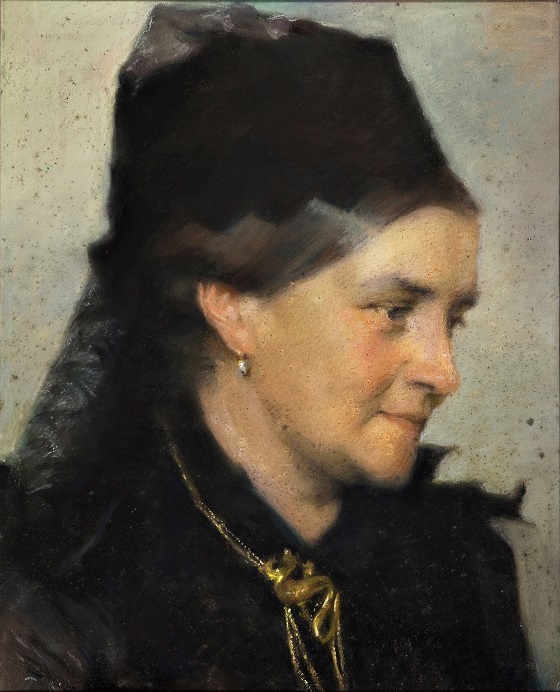 Like her brother, Vilhelmine Heise was a patron of the arts, and Frans Schwartz became one of her favourite portrait painters. She commissioned several portraits of her family members from Schwartz, who also acted as her personal adviser when she was looking to buy new works of art. The psychological insight and depth that characterises Schwartz’s portrayal of an aged Vilhelmine is a testament to the close relationship between the two.